Shireena Jose from Delhi, B.B.A Graduate. Shireena Jose is Resume- Shireena Jose and currently have no work experience. COMM SKILLS IMAGINIT.. MARKEITNG COMMUNICAT.. MARKEING & OPERATION..
are one of expert skill area's of Shireena Jose . 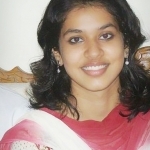 Shireena Jose is working in Sales Marketing industry.